Like a juggling act, startup founders juggle so many different aspects of a business. 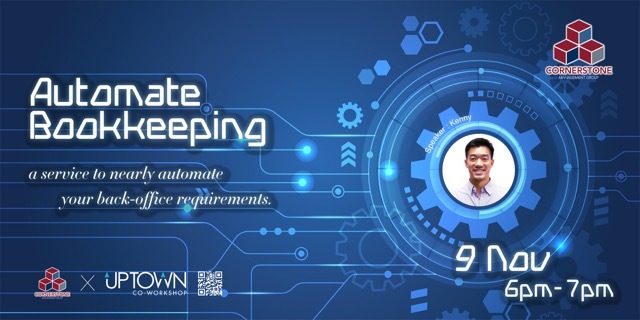 Let Cornerstone (Hong Kong’s first Xero Gold Partner) share with you on how to automate it, so you can sit back and watch the juggling act unfold. Kenny Chang is a Taiwanese American that has worked in numerous industries throughout his career. He started his entrepreneurial adventure in Peru, which then lead him to Beijing and now to Hong Kong. He loves entrepeurship and helping small & medium businesses thrive and succeed. Sign up and join us the Uptown Happy Hour the same night! We got beer, canapes, snacks and fun people! Meet our startups and add more people to your social circle!